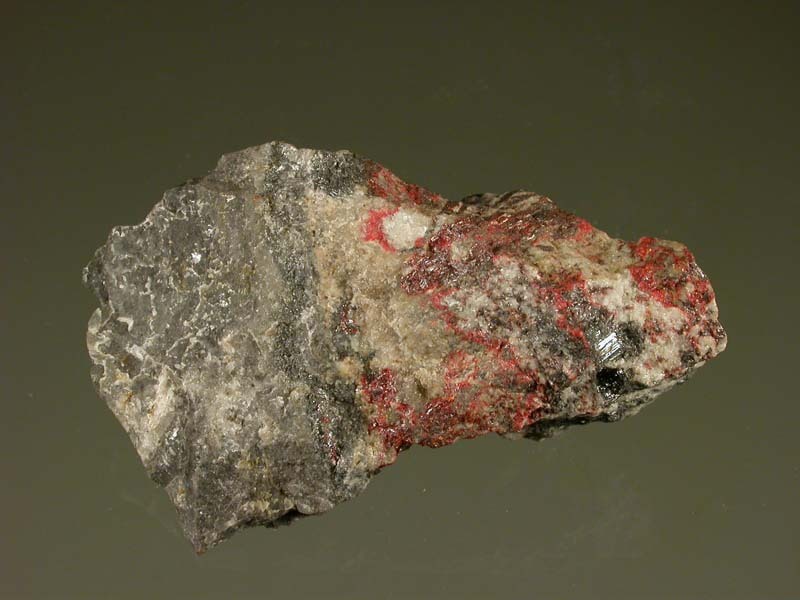 Rich, red cleavages of sarabauite, associated with stibnite and embedded in calcite and wollastonite. The Sarabau Mine is the type locality for this unusual antimony mineral. Rich example!